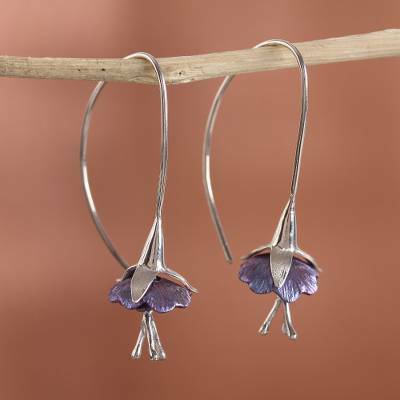 Floral Titanium Plated Sterling Silver Drop Earrings, "Sleepy Flowers"
Handcrafted of sterling silver plated in titanium, two sleepy flowers adorn the ears. 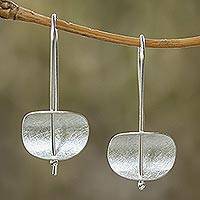 Mexican artisan Diana Solis designs these drop earrings, which are crafted of sterling silver. Each earring adorns the wearer on, a long, elaborate hook of sterling silver.